Pasfield Curran consultants have worked in the field of the design and implementation of flexible ways of working for many years. We have produced many in-depth documents showing the benefits of using the annualised hours approach. However, in this paper we are applying a more uncluttered approach breaking the concept into its constituent parts and clearly highlighting the benefits. The concept is more relevant than ever in these days when people are recognising the downsides of the overuse of other methods, which often utilise a non-core workforce. has changing or seasonal fluctuations in demand? 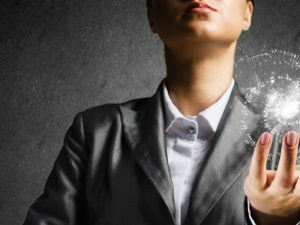 relies on temporary or agency staff? has periods where employees are working regular overtime? Whilst, in quieter periods you struggle to fill the shifts with work? suffers with high absence levels? has problems with attraction and retention? …then this concept may be worth investigating further. An employee works a certain number of pre planned hours over a year (with some flexibility depending on business and employee requirements) e.g. plan will follow known orders or expected seasonal variations. Analysis of work content/past productivity is required to best plan the requirements – productivity and quality improvements are the usual outcome. Some hours are usually left unplanned but are contracted – these are called reserve hours – they may be used for short notice work (e.g. unexpected refits), sickness, productivity etc. Normally the shifts are planned in regular patterns according to the expected work content in “seasons” e.g. high, mid, low or trough. Attendance is planned according to the requirements e.g. there may be longer/more shifts or more people planned to be at work in the higher “seasons”, fewer/shorter shifts with less people at work in the lower “seasons”. As the requirement for attendance is planned in advance this implies that time off is also planned this can lead to longer and additional breaks dependent on the shifts times that have been planned. An option for swapping of time on/off is available for employee flexibility. If there are unused hours left at the end of the year then these are usually written off – this is a significant “carrot” to encourage productivity, low sickness and generally smarter working. Don’t be fooled that there is an off the shelf solution, although you may see attributes similar to other schemes, it is essential that your version of an annualised hours scheme must be designed specifically for your requirements and flexibilities. Developed correctly it should be beneficial for both employers and employees. 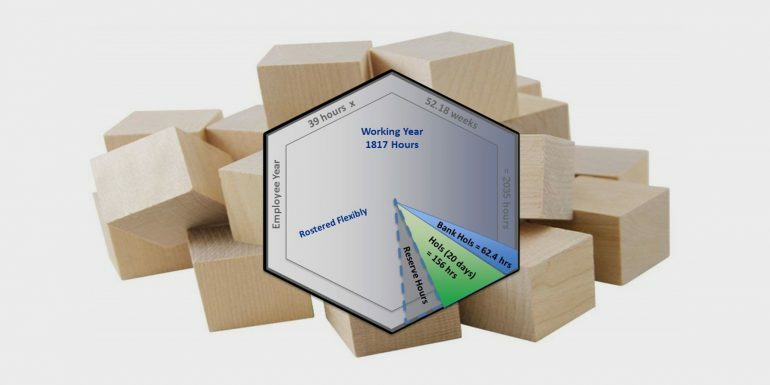 Upfront but flexible planning of any known work gives a clear vision for all and allows for better distribution of hours of work for all rather than a concentration on a few employees. This ensures easier compliance with working time regulations. It can enable better design of shift patterns and time off to allow more usable leisure time. It aligns employee and employer incentives and encourages team working. Prevents non value added work being imposed to “fill” time when work content drops – this can often lead to poor motivation and commitment to the organisation. An operations manual is usually developed to allow full understanding of flexibility expected from employees and the business, this allows for reducing work content leading to people going home or standing down for future shifts or additional requirements from increased work. The notice periods are often developed together – as the currency is now time and not increased/reduced pay these conversations can become far more amiable. Often this flexibility means that all work can now be carried out without the need for external contractors but with the correctly skilled people that you employ without overtime. 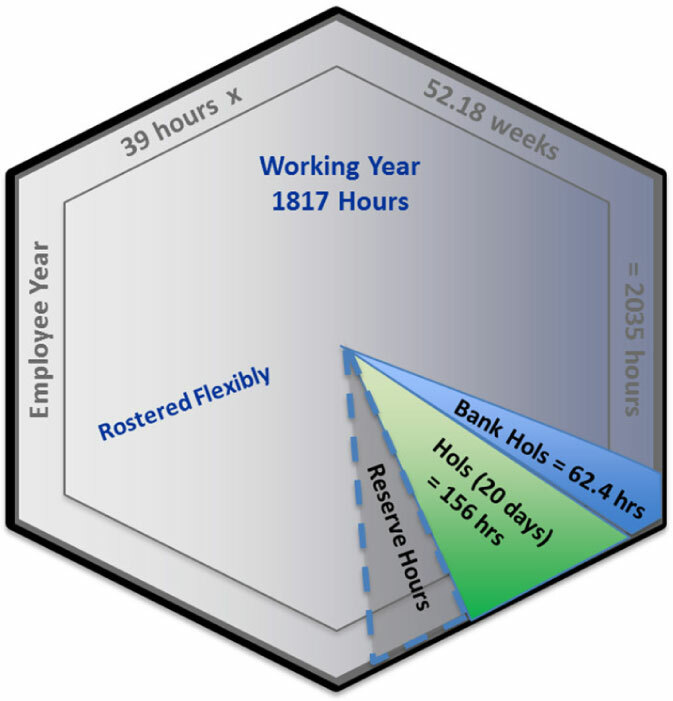 In some instances, where in the past only some individuals have provided overtime cover (these employees will have a higher earnings expectation) it is possible to offer only these people a higher annual contract level – so they have more hours planned up front to cover the known requirements. The business is able to plan according to demand. 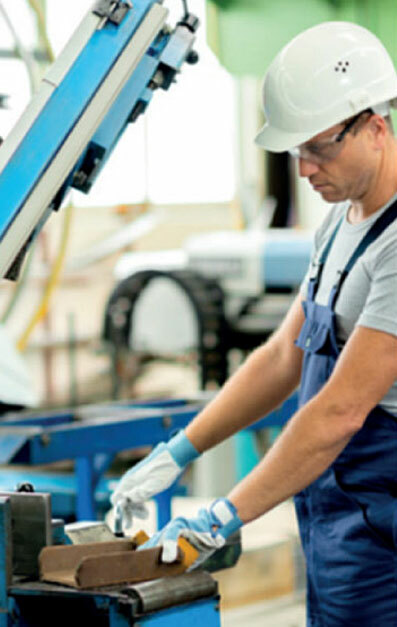 Improvements in productivity, efficiency and quality are designed in. Employees can benefit from longer and more regular breaks. The business knows and can plan for costs in advance. The employee usually receives regular consistent pay as a salary. This can often lead to higher basic pay with improved and more productive planning.